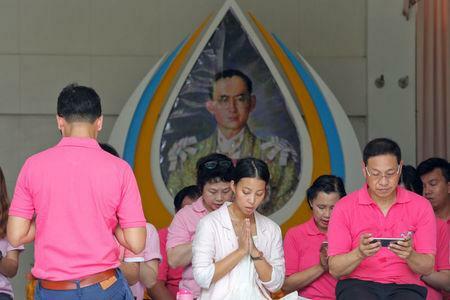 BANGKOK (Reuters) - Thais on Tuesday wore pink for 88-year-old King Bhumibol Adulyadej, a color they believe will help improve the monarch's health, two days after the palace said he was in an unstable condition. 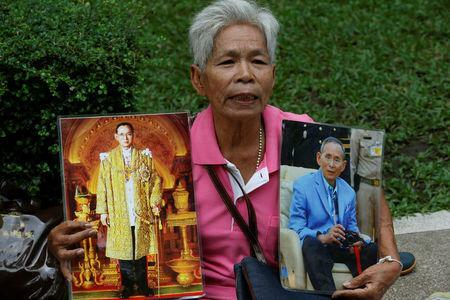 The palace said on Sunday the king's health was "not stable" following hemodialysis treatment in hospital, a process to purify the blood. It said a ventilator was deployed after the monarch's blood pressure dropped. Many Thais are highly superstitious and some believe brightly colored clothes can attract good luck. 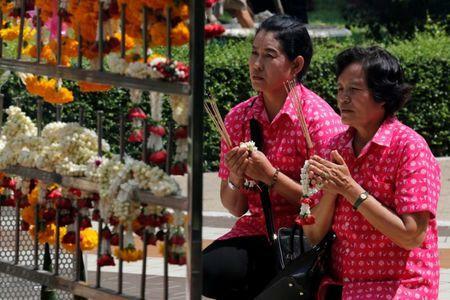 Messages shared on social media since the palace statement have urged Thais to wear pink, a color which first became important a few years ago when royal astrologers said it was good for the king and would promote wellbeing. Since then, the king has sometimes been seen in public wearing pink.